Martin is Chief Executive and co-founded the charity with his late wife Kathy. Martin is passionate about injustice and global poverty reduction. He is also a trained professional actor with occasional appearances on stage and screen. He loves Manchester City, cycling, modern jive dancing and has three adult children who keep him in order. Barbara is Finance Administrator for Act4Africa and has worked as an accountant and project manager in various industries, most recently for a brewery. Married to Steve, who is a truck driver for a motorsport team, the family consists of a rescue dog called Fisi, and two cats, Lucy and Sophie. When not working at Act4Africa, she helps out in the accounts department of a local academy and is also treasurer of two local community groups. 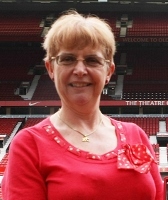 She’s a passionate Manchester United supporter and has been a season ticket holder for over 40 years. 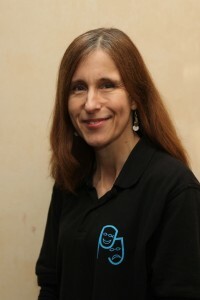 Sarah works as our part-time Marketing Executive. With a background in leisure and tourism marketing and education, she deals with all the charity’s marketing, PR and social media. 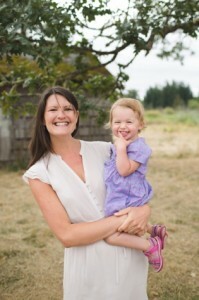 Sarah enjoys a busy family life with her husband and three young children and can usually been found dashing between their many clubs and activities. Occassionally she enjoys her own hobbies and pursuits including cycling, yoga and singing with a quirky local choir, Absolute Belters. Chris Grieves is Chair of Trustees and part of the Senior Management Team for Act4Africa. He has had a long association with the charity from its conception in 2000 and was its very first enthusiastic candidate for the maiden trip in 2001 on which he spent a large portion of his time walking and acting on stilts in the villages around Jinja, Uganda! At home, Chris is the Medical Engineering Team Manager at Trafford General hospital (known for being the birthplace of the NHS) running the local team that manages medical devices. He is an enthusiastic creative in a technical healthcare environment. Confessing to be young at heart, he can often be found trampolining with his daughter or play fighting Taekwon Do with his son. Chris’s passion for Act4Africa has never waned and he believes that the new projects, especially Grow-a-Girl and the excitement of seeing Kathy’s Fund grow into a tangible legacy for the future of the charity and the amazing African people it serves. 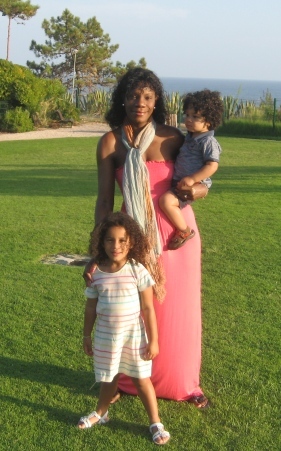 Dora is a member of our Senior Management Team, and joined Act4Africa in 2002 on the first official summer team. As a qualified nurse and a long-standing member of a local amateur dramatics group, health promotion and drama were a perfect combination. This first trip was meant to be a one-off, but she was hooked, and has since been mainly to Uganda almost every year – 7 trips as a summer team leader. She was part of the teams that set up all 3 of our local Act4Africa teams in Jinja, Kasese and Dar es Salaam, and in 2005 spent 4 months training and working alongside the fledgling Kasese team in Uganda. She says it has been great to see Act4Africa develop into what we have now, and be part of that development. I am a Trustee and part of the senior medical team for Act4Africa supporting them in my role as Medical Adviser. 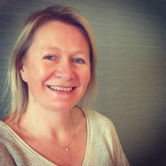 In my everyday life I am a mum of two children who keep me very busy and entertained and I work as a consultant anaesthetist for a teaching hospital in Manchester where I specialise in anaesthesia for orthopaedic, bariatric, general and complex spinal surgery. I am also an honorary clinical lecturer at the University of Manchester Medical school where I am an academic advisor to medical students who are now in their 3rd year of medical school, a PBL tutor to 3rd year medical students and a tutor to 5th year medical students. I am also involved in the general teaching of 3rd–5th year medical students on a regular basis and I am an OSCE examiner in the medical student examinations. As well as undergraduate teaching, I am also involved in the teaching, training and examining of postgraduate anaesthetic trainees and physician assistants (anaesthesia). My name is Charis Baker I am a Trustee for Act4AfrIca. My husband David and I have been associated with Act4Africa since it’s beginnings, David going on the charity’s first ever mission and me going to Kasese, Uganda during a university summer. We are both passionate about the charity and have loved watching it grow and develop over the years. In 2009 – 2010 David and I spent a year in Malawi, pioneering and developing an Act4Africa HIV Training Of Trainers project in Lilongwe and the surrounding areas. I studied drama and education at Cambridge and am passionate about how the two can work in tandem to both communicate and liberate people. I am a teacher by trade and am particularly excited about girls education and how that might be used to bring independence and freedom to women, in light of this, I am particularly excited about the Grow A Girl project. We moved to Cheltenham in August for David to take on the role of pastor at Trinity Church, Cheltenham. I am presently full time Mum to Bethany and Benjamin as well as supporting some of the ministries going on at church.